In related news, the Commerce Department reported that sales of new homes jumped to a year-over-year reading of 544,000 new home sales as compared to November's upwardly revised reading of 491,000 new homes sold and expectations of a year-over-year reading of 506,000 new homes sold as of December. The December 2015 reading was 9.90 percent higher than for December 2014. The National Association of Realtors® reported a minor gain in pending home sales in December. 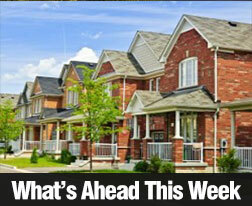 Pending home sales gauge future closings and mortgage activity. December's pending sales reading was higher by 0.10 percent month-to-month and posted a year-over-year gain of 4.50 percent. December's gain represented the 16th consecutive monthly gain for pending home sales. Analysts had expected a month-to-month gain of 1 percent, but high demand and a slim supply of affordable homes are leaving would-be buyers on the sidelines. This week's scheduled economic news includes reports on construction spending, ADP payrolls, Non-Farm payrolls and the national unemployment rate.